Branding is an important marketing strategy for travel writers. The practice originated by marking livestock with a red-hot iron to identify ownership. Ouch! 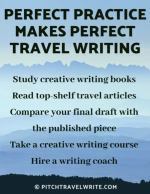 This widely accepted practice is similar to what successful freelance travel writers and authors do today. Your brand identifies you and helps you stand out from the crowd. Fortunately, you can ‘brand’ yourself without stamping your logo on your forehead with a red-hot iron! 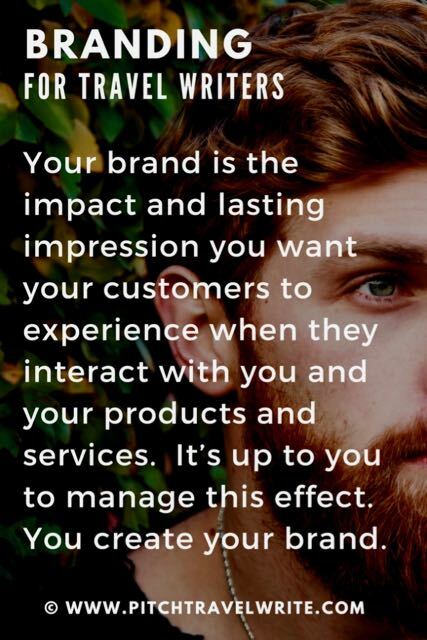 Your brand provides a specific focus of who you are. It includes your values and what you’re best known for. Your brand is also designed to build trust and a sense of community with your followers. 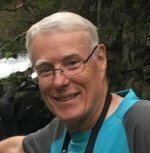 When you think of Rick Steves, you picture a guy that’s very practical, travels around Europe and finds ways to experience Europe through the back door. Frances Mayes makes you think of Tuscany, sunshine, abandoned villas, and the pleasures of Italian life and feasts thanks to Under the Tuscan Sun and other books (most of which have the name Tuscan or Tuscany in the title). Rolf Potts brings to mind wandering about from place to place, or Vagabonding, because he wrote the book about it. When someone mentions a brusque chef from New York who writes books about kitchen adventures, you can't help but picture Anthony Bourdain. He traveled around the world eating weird food – and re-branded himself in this image. Elizabeth Gilbert conjures up the idea of romance and spiritual adventure because of her memoir Eat Pray Love where she traveled to Italy, India, and Bali to find herself. When people mention the name Bill Bryson, you know him as the guy who delves deep into the history of the places he visits - and makes it funny and interesting. Your brand is a platform that supports the sum total of your self-promotional strategies. It's the image that appears in your mind when we read someone’s name. It’s what pops into our heads when we see someone’s photo. An effective brand platform includes the use of social media, a writer’s website, networking at conferences and workshops, perhaps a blog or newsletter, and even what we put on our email signatures. And for freelance writers, your brand includes shouting your successes from the rooftops at every opportunity! Your brand platform is not a one-size-fits-all entity. When you’re building your platform, you’ll need to analyze your own needs and those of your audience. Then you’ll use the components that work best for your own brand. Develop your professional writer’s website to confirm your legitimacy as an established journalist. What kind of impression do you want to make? Make sure your website leaves the reader with that impression. Display your travel writing portfolio with writing samples and your bio on your website and any other relevant websites that allow you. Highlight your writing specialties and genres. Create a professional profile on LinkedIn. Make sure you mention the genres you write for, and any areas of expertise. Use social media as a cornerstone of your branding platform. Continuously get your message out to your readers. I wrote an article about using Facebook to enhance your travel writing and the advice can be applied to most social media. Analyze the various social media in terms of your specific travel writing needs, and decide which media you will use. You don’t have to be on every platform! One big beginner’s mistake is to use every social media mode available. Don’t! You’ll get a higher yield by focusing on the right social media for your audience. Do some self-promotional activity every day, even if it’s just a little contribution, or a small post. Ask your editors for testimonials to place on your website. Do the same with CVBs who have hosted you and where you’ve delivered on your commitments. Attend travel writing conferences and workshops. Network, talk shop, and ask your peers questions. Talk to magazine editors about what they need, then go home and pitch them some stories. It still amazes me how many freelance magazine writers don’t use this essential tool. Book authors have been touting their books and themselves for years on websites, but somehow freelance magazine writers don’t do this. When I discuss the absolute necessity of a writer’s website, most writers say it’s not worth setting one up because they’re too expensive. They also think a writer’s website won’t help them harvest sufficient writing assignments to make it worthwhile. Neither of these statements is true! Having a professional website helps your credibility. Editors look for your website when checking out your pitch. It gives you a chance to impress them! And I’ve had some stories fall into my lap from editors searching the web for certain types of articles. Basic websites are cheap (squarespace.com) and even free (wix.com) these days. You don’t have to be a techie to set one up. At the very least, someone can set one up for you for far less than what it used to cost. It no longer costs thousands of dollars and many hours of effort. The software tools available make it very easy and fast. In today’s competitive environment, you really can’t afford not to have a writer’s website. I’ve been on numerous press trips, often with up to 15 other writers. When I check their achievements online, I notice that very few of them have bothered to set up a writer’s website. As a poor man’s substitute, most freelance writers slap up a half-baked biography on LinkedIn. They think that’s all they need to establish their authority and their credibility online. LinkedIn is a component of your brand. But it’s only one small component. It’s critically important to create a multi-faceted self-promotion platform. You need a writer’s website to project your personal brand. And you need to be active on relevant social media. It’s never been easier to do this! So don’t procrastinate. 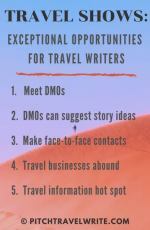 Start developing your travel writing brand today.